Rigid gas permeable (RGP) contact lenses are a stiffer more durable contact lens. Often confused with “hard” lenses which are now obsolete, these are made of much newer and more oxygen permeable materials. Although RGP lenses may take a little longer to get used to than soft contacts, they do have their benefits and be prescribed for a variety of reason. They tend to offer superior clarity and quality of vision to soft contacts, especially for patients who have significant amounts of astigmatism. Some special RGP lens designs and significantly reduce an older patient’s dependence on reading glasses while wearing contact lenses. Hybrid contact lenses have an RGP center and a soft outer skirt. Although larger and more intimidating than Rigid Gas Permeable (RGP) contact lenses, Scleral contact lenses are significantly more comfortable. Instead of sitting on the cornea as RGP lenses do, these lenses actually rest on the sclera (the white of the eye, and hence their name) and vault over the cornea. These lenses are the perfect marriage of the comfort of a soft contact lens, and the vision quality and acuity of an RGP. 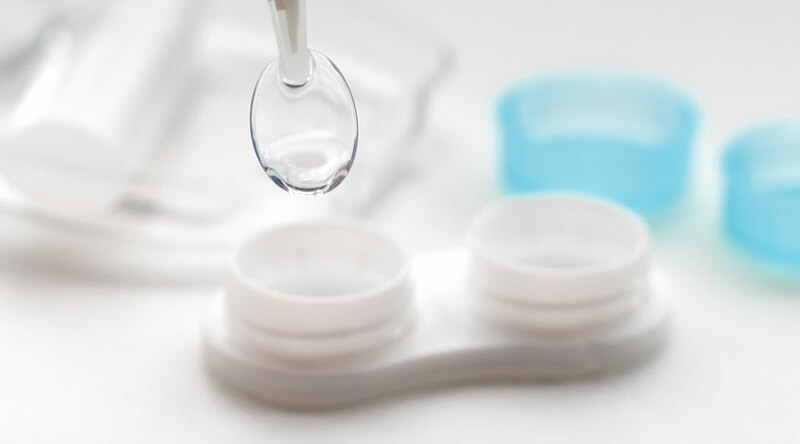 Where Scleral contact lenses absolutely shine is with patients who have irregularities in their cornea, the most common of which is keratoconus. 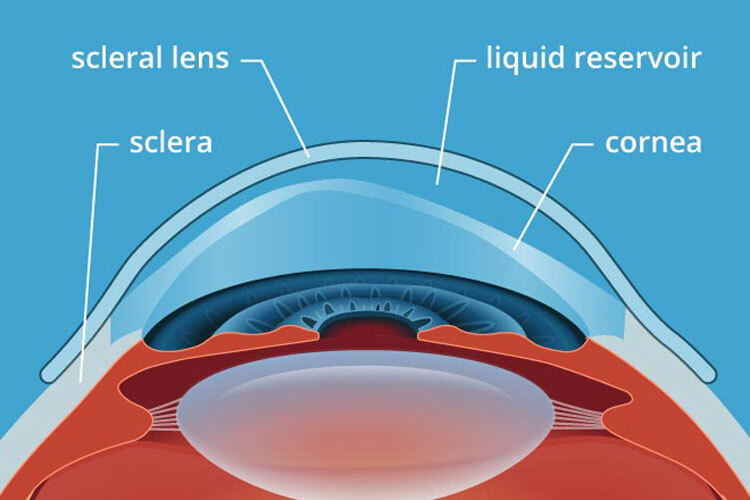 Because these lenses vault over top of the cornea, the fluid underneath the lens helps fill in the gaps because of any corneal irregularity to help regain lost potential of visual acuity. We have had many keratoconus and post-corneal transplant patients achieve 20/20 or better visual acuity with these lenses when this was impossible with their standard glasses and contact lenses. Since comfort is the main barrier that keeps patients out of RGP contact lenses, and soft contact lenses are significantly more comfortable but may not have the best visual acuity for some patients, hybrid contact lenses offer a unique opportunity. With these contact lenses, the center is a rigid gas permeable material, but it has a soft contact lens periphery or “skirt”.